Every year our schools help out those in our community that are in need during this time of year. This year we are collecting socks for The Road Home shelter to distribute to deserving people. 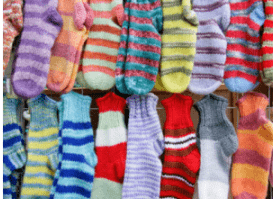 It is amazing what a difference something simple as socks can make for those in our community. We will be collecting socks from November 30th-August 14th.